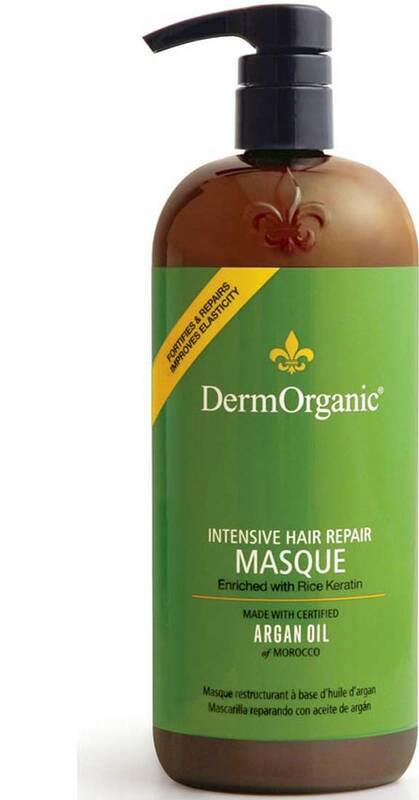 The DermOrganic Masque Intensive Hair Repair claims (from the bottle) are: Vegan Haircare, No Animal Testing, No Artificial Preservatives, Sulfate Free and Gluten Free, No Sodium Chloride, Salt, MEA, DEA or DYES, Paraben Free and Propylene Glycol Free, pH Balanced 4.5 to 5.5. Directions: Apply to clean hair from the scalp to ends. Leave in 3 to 5 minutes, rinse. Use at least 2 times weekly for effective results. For an in-salon deep masque treatment, apply to clean damp hair. Cover and place under heat for 3 to 5 minutes. Cool for 3 to 5 minutes, then rinse. Made by DermOrganic Laboratories, Inc. I used the whole bottle down to past nothing on this product. So that means I did like the product but I wish it has less inorganic chemicals in the ingredient lists. Notice that it contains a lot of alcohol mixtures and alcohols products can dry some hair types. When I began using this my hair was damaged by DIY hair coloring and DIY flat ironing. Therefore I had a tremendous amount of shedding every day. I stopped the coloring and flat ironing for one year, still have not gone back to hair color and used this product plus the DermOrganic leave in. I believe these two products ended the breakage in addition to I am drinking a lot more pure water every day. Uncertain if I will continue using the Masque because I want to try the Giovanni Direct leave in conditioner. There are some products that work better for my hair than the same product made by a different company. I want to see if DermOrganic Argan Oil based products work better than the Giovanni company’s plant based products.